In November 2008, a patient of mine retired from playing professional soccer for 16 years. She returned to the US and arrived at my office in extreme pain and antalgia. Her lumbar MRI showed two severe herniations at L4-5 and L5-S1. 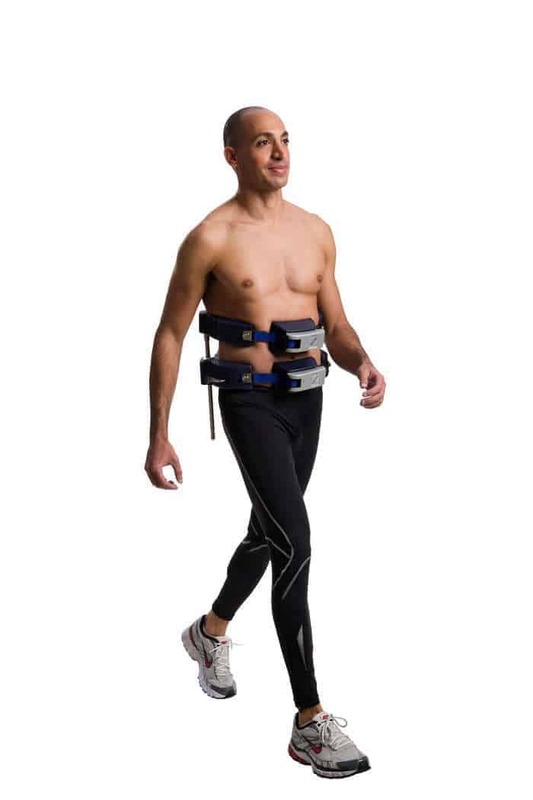 I was very concerned and decided to purchase the Vertetrac after reading about it. I began to use the Vertetrac daily starting at minutes at 2 MPH on the treadmill after using my cold laser and performing ART to the appropriate muscles. She also needed a trial of 3 epidural injections which gave her enough pain relief to receive the therapy (she only felt relief after the first epidural, the remaining two did not provide any further relief). Over several months of care she improved to the point of being able to coach soccer and live pain free. She uses the Vertetrac periodically for maintenance care and is continuing to coach. I have used the Vertetrac with many disc herniation patients with great results. 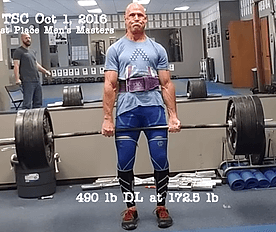 I have a small disc herniation at L4-5 and use the Vertetrac after heavy deadlifts. Instead of feeling a bit stiff the next day, I have no pain and really feel like I did not even lift the day before. At 50 years old, this is a great feeling. Thank you Meditrac for a wonderful therapy! This is to confirm that I have used the Meditrac Vertetrac successfully over the past 10 years in the treatment of low back disorder. I have especially good results with lumbar disc bulges, protrusions, herniation, and even fragments, confirmed on MRI. It is my treatment of choice for most low back injuries and conditions, short of fracture or cancer. In October 2002, I was rear-ended by a linen delivery truck and suffered disc level injuries, T7, L12 (disc spur complex) and L4 5. My pain was severe the first weeks after the injury. However, as soon as I could tolerate traction, I began putting myself in the Vertetrac daily. I was able to get out of pain during short treatment sessions and began the slow climb into recovery. I did almost daily treatment sessions from November through April with the Vertetrac. This permitted me to maintain my practice and continue surfing for exercise. It is now almost 8 months post-accident and I have times when I am pain free and days that I don’t need any treatment whatsoever. I apply the traction twice weekly now during my workweek. Recently, I spent 7 days surfing in Hawaii and was pain-free most of the time. I recommend the Vertetrac to all of my colleagues, and have found it to be a source of patient referrals to me, and most of all, it has permitted me to maintain my own work activity after a bad auto accident. This is the most important piece of equipment in my practice, along with my adjusting table. Thank you for the opportunity to share my experience helping patients with the Vertetrac. I have been a licensed massage therapist (specializing in deep tissue) for the past 23 years. I LOVE my job because I love helping people. I was told that most massage therapists last for about 15 years as they develop problems with their own backs and move on to other careers, so, at 23 years, I’m quite overdue! “They” were right as I have developed a severe back problem known as Spondylolisthesis which is quite painful. It means that one of the vertebrae has slipped forward causing a nerve to be pinched. After many doctors visits and different therapies a friend of mine insisted I go to her chiropractor as he had something “special” he used as traction that might help me. Being desperate, I made the long trip 3 times a week in the beginning and then 2 times a week etc. On my first visit I was fully expecting to be laid out on a traction table and stretched! 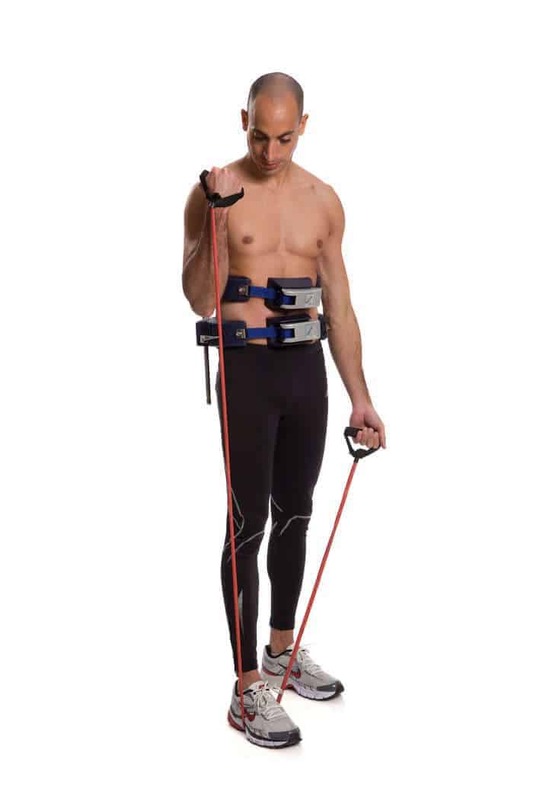 I was quite surprised when he walked in with this rather small device that he tightly wrapped around my waist and then put me on a treadmill at a very slow speed for about 15 minutes. Well, needless to say, IT WORKED! I could finally really start feeling a difference in my back. I would feel “taller” every time I walked out of there. Eventually, I stopped going as he was simply too far away from me and I could no longer afford the expense. His treatments have lasted for just over a year now and my condition has returned with a vengeance!!!! I have just ordered my own unit and it should arrive shortly. I am literally counting the days until it gets here so I can rip it open and put it on and start feeling relief. In closing, all I can say is that whomever it was that came up with this idea is nothing short of a GENIUS!! So, wherever you are, out there – THANK YOU!!! One of my better cases was a 54 year old female with disc bulges at L3 4 5 on the left side she had severe pain, left sided foot drop, weakness and atrophy of the left quad. At first she could not tolerate the Vertetrac for more than a few minutes but after a few days the only complete relief she had was when she was wearing the Vertetrac, she had been scheduled for surgery but within three weeks her pain had reduced by 80% she was able to cancel the surgery and within another month was totally pain free and remains so to this day, this was one of many successes I have had over the years with the Vertetrac and this case happened in the 1996, every now and then I still see this patient but never for the same type of symptoms as described above. Dr. Douglas Stam, Douglas Stam, Chiropractor, has a doctorate in Chiropractic and specializes in the diagnosis and treatment of soft tissue. He has maintained a successful Chiropractic practice since 1978 and is licensed in both Illinois and Indiana. 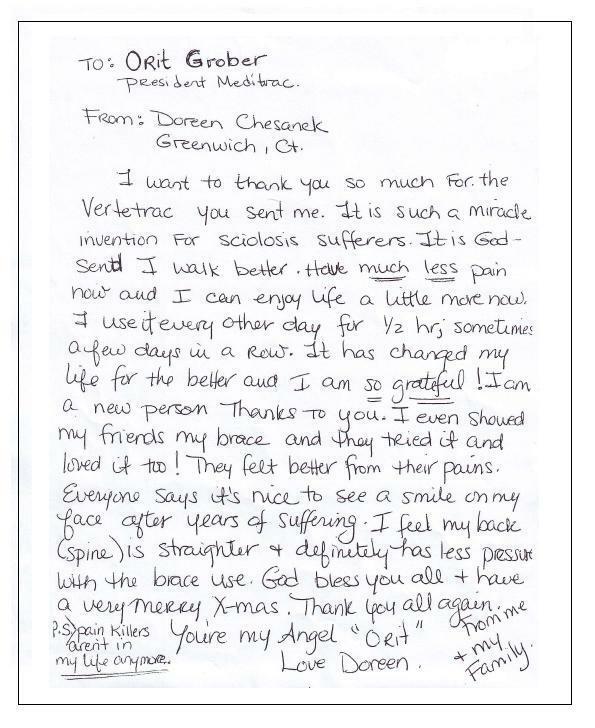 Practitioner testimonial for non surgical spinal decompression, using the Vertetrac back traction device and the Cervico 2000 neck traction device: These devices have truly been amazing for the patients with outstanding clinical outcomes. I think I purchased them both around 15 years ago. As a result, we have likely avoided hundreds of spinal surgeries. Haris Begovic, Clinical Advisor Company, Rehab-Robotics. A self motivated and extremely curious about the scientific advancements in biomedical engineering and its implementation into the investigations of the muscle dynamics. While in the hospital, as I was considering the recommendation of the surgeon, a chiropractic doctor and friend, who had a good knowledge of my history, and an excellent knowledge of when surgery is necessary, told me about the Vertetrac and the good results he was having with his patients using it. I truly had a dilemma. On the one hand, a highly respected surgeon was saying surgery was imperative; on the other, a well-respected and successful chiropractor was advising me to use the Vertetrac to heal the damaged segments in my spine. I ordered a Vertetrac and began using it daily for a month. The very first time I wore the Vertetrac, I noticed that I could stand up without pain. This, in itself, was a very positive result, suggesting that the nerve irritation was greatly reduced and that structural integrity was being supported. I began walking a half hour per day, every day for a month. After one month I was healed. I would not call this healing a miracle, but just sound anatomy, physiology, and physical therapy. 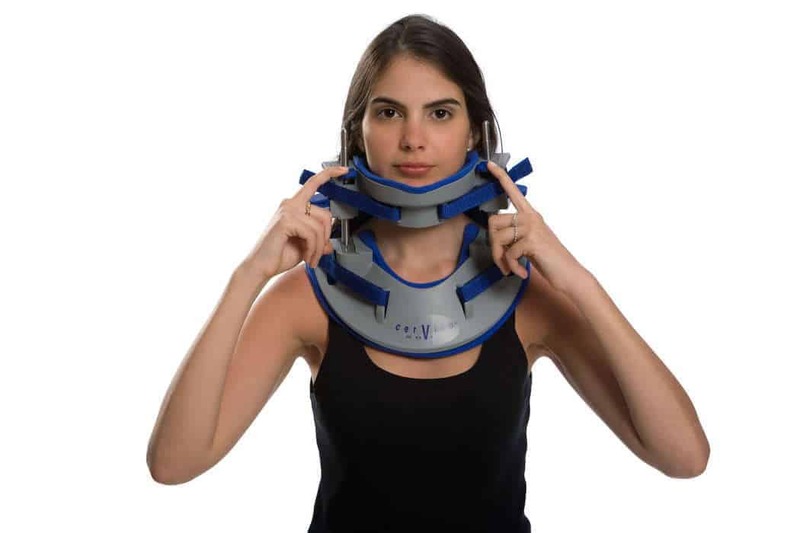 Patient testimonial regarding the Vertetrac and Cervico 2000 spinal traction devices: I’d like to say that I am having very good results with the Cervico and Vertetrac here in Brazil… The results of my treatment are excellent. Thank you very much. I would like to express my gratitude to Dr. Grober, who saved me from an operation on my spinal cord. I arrived at the ER with a disc hernia, in terrible pain and shortly after the first check was almost persuaded to undergo surgery. The doctors insisted that surgery was the only option because the chances for recovery were negligible. I was hesitant since I heard about the possible complications of the surgery and also the high changes of a second episode. I was terrified and looking for any alternative. Fortunately, I heard from a friend that there is an effective treatment that helped some patients with problems like mine to avoid surgery and recover from spine injuries. When I first arrived to Dr. Grober’s clinic two weeks after hospitalization, I was unable to walk straight and needed help to support my body weight. The pain was almost unbearable. At the beginning of the treatment I was only capable of making several steps with Dr. Grober’s device; however, after several weeks I was able to walk with no support, move around and fully take care of myself. Today, a year after the hospitalization, my back is in much better condition and I am working, walking for long distances, and able to perform any everyday task. Needless to say, I’m very happy to avoid surgery and feel very grateful to Dr. Grober. 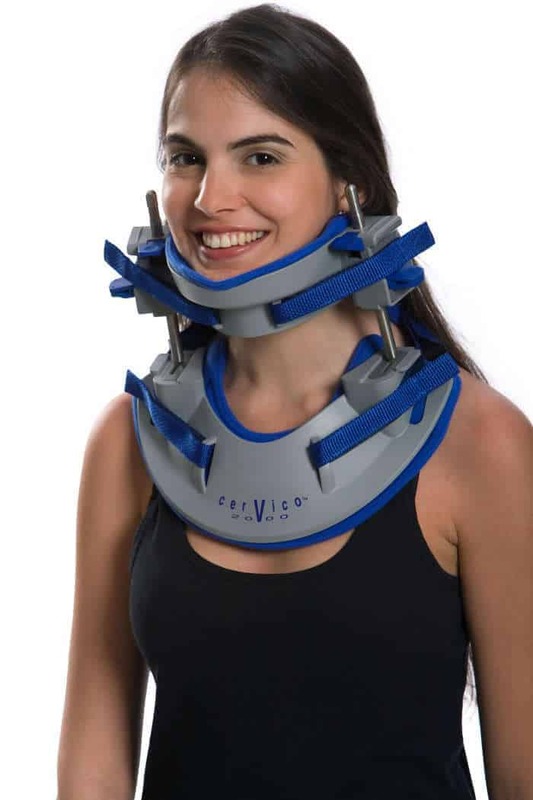 The Cervico 2000 neck brace – a life changer! 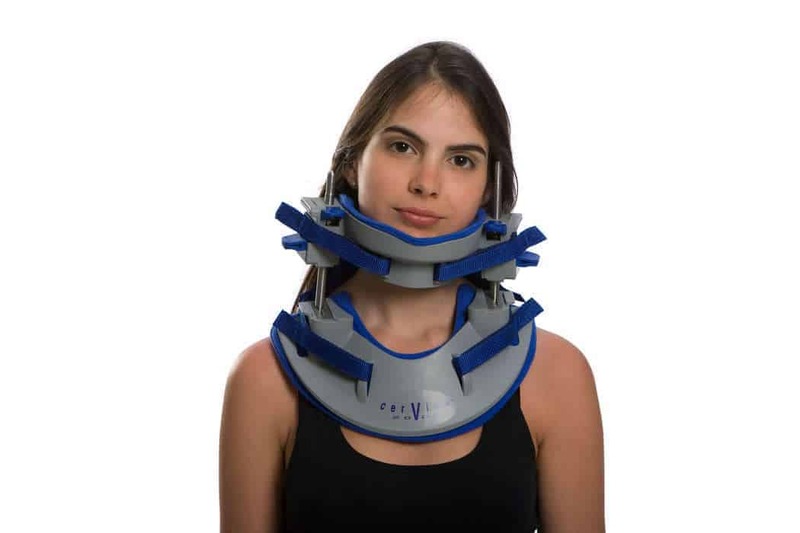 Patient testimonial for the Cervico 2000 neck brace (spinal decompression device): I live near San Antonio, Texas I have been using the Cervico for several years and cannot walk for exercise without wearing it. I was in a car that went upside down 18 years ago. The car was partially crushed and severely injured my neck and head. Since that time, I have never been able to walk very far until I got the Cervico. It certainly changed my life. I wear it every time I get in a vehicle because the movement of riding in a car hurts my neck very much. I have 2 herniated discs in my neck. My doctor believes that the tendons of the muscles that hold my head up are torn from where they attach to the skull. Without the Cervico, I would never walk more than two or three minutes and go months without ever leaving my house because of the vibration of riding in a car hurt so much. Thank you for the Cervico! I would like to find a doctor to see if my daughter could benefit from the Vertetrac. 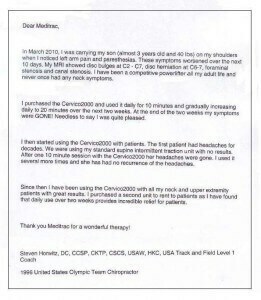 Tags: Cervico 2000 chiropractor review, cervical spinal traction, neck spinal decompression therapy, disc herniation. I have tried several different cervical traction devices in over my 19 years in practice. I have even developed my own. The problem with mine and so many others, they apply a force on the temporal mandibular joint. This makes the patients uncomfortable. 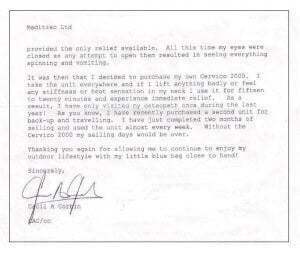 I received my Cervico 2000 soon after you introduced the unit and have not had one complaint. It works great on our acute, as well as chronic patients, without any force on the TMJ. I would recommend your units to anyone. They will improve the outcome in their practice. I also want to thank your fine company for standing behind your products, and providing excellent customer service. I will be purchasing more Cervico 2000’s. I see patients buying your product for home use and adding more units to our treatment area. I am using extensively both units Vertetrac and the Cervico 2000. My patients are doing well using them in the course of their treatment. As for the Cervico 2000 unit I use it myself and I have patients on it, too. I must say I have remarkable results, and the patients notice the difference, as well. 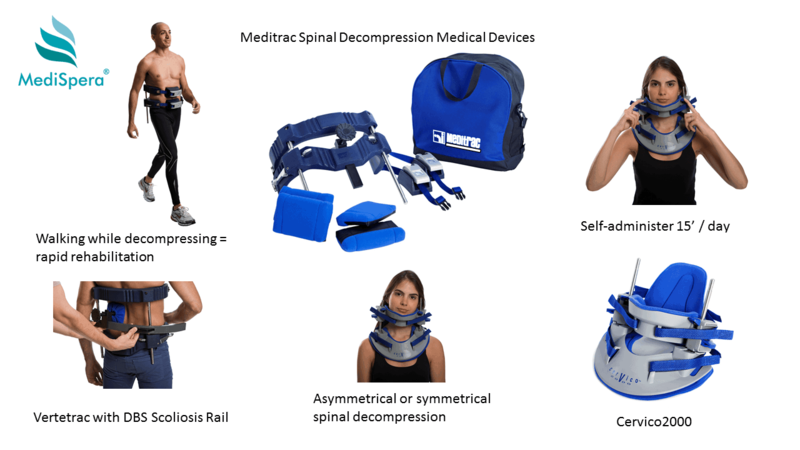 For all the years that I have been using multiple Vertetrac units for the successful treatment of lumbar disc lesions, IVF stenosis, etc., I kept asking myself when someone was going to design a similar unit for the cervical spine. I would like to thank Meditrac for having the vision to do so in its manufacture of the Cervico 2000. I have used several different types of cervical traction units over the years with sub optimal results. With the Cervico, I am able to impart sufficient, constant distractive forces to the patient with minimal discomfort to them. The constant high load distractive forces allow for an improved ability of the body to heal the soft tissue components of the lesions. The individual traction rods allow different levels of distraction to be performed on the right and left at the same time, this is especially helpful with cases of torticollis. Thank you again for this fine product. I want to thank you so much for the Vertetrac you sent me. It is such a miracle invention for scoliosis sufferers. It is a God-send, I walk better. Have much less pain now! I use it every other day for 1/2 hr; sometimes a few days in a row. It has changed my life for the better and I am so grateful! I am a new person. Thanks to you. I even showed my friend my brace and they tried it and loved it too! They felt better from their pains. Everyone says it is nice to see a smile on my face after years of suffering. I feel my back (spine) is straighter and definitely has less pressure with the brace use. God bless you all and have a very merry X-mas. Thank you all again from me and my family. P.S. Pain killers aren’t in my life anymore. Patient testimonial for sciatica treatment using the Vertetrac: I am writing to describe my personal experience with your Vertetrac product. I began to experience acute sciatica and nearly-paralyzing low-back spasms around 1985. Since that time I have worked or consulted with 9 chiropractors, 4 orthopedic doctors, and 3 orthopedic surgeons. Throughout I was determined to learn to manage the weakness and to avoid surgery. In an ongoing effort to take the pressure off my herniated L5 disk, I have tried traction tables, tilt (gravity) tables, aggressive physical therapy, manual traction, leg-pulling, hip blocking, and Cox tables. None of these made any significant difference beyond a few hours of temporary relief. 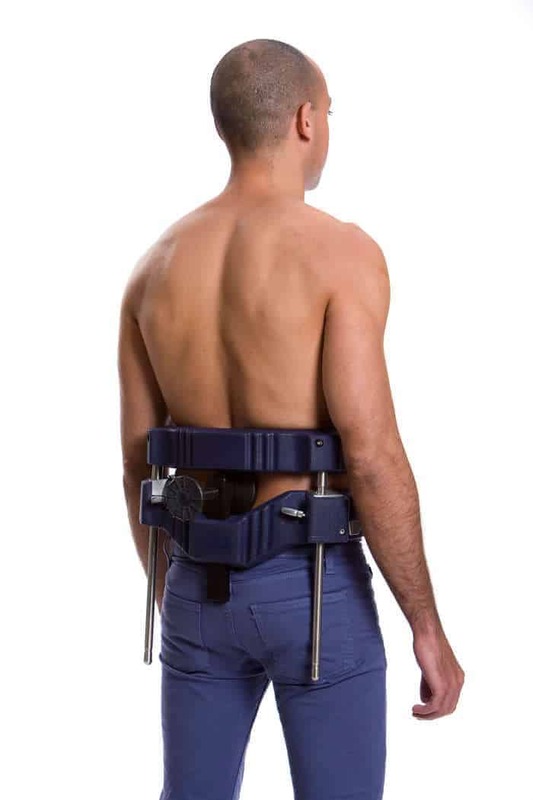 Around 1995, Dr. Weinstein recommended that I try the Vertetrac device in conjunction with rehabilitation exercises on machines that strengthen and balance the musculature of the torso. The Vertetrac device seemed counterintuitive to me because it appeared to me (an engineer) that more weight was being applied than was being released. So it was with genuine astonishment when I found that the device produced profound and extended relief after just one 15-minute session. After half a dozen Vertetrac sessions, accompanied by the rehab program, I was virtually pain free and my back was quite stable. On the few occasions since that time when I’ve re-injured the area, the same protocol gives me relief and facilitates rapid healing — within two weeks rather than four to six months with the older treatments. I have been surprised at how few chiropractors are aware of your product. A lot of people could avoid back surgery with this device — because they can find relief under their own power within two weeks and do not have to pin their hopes on the surgeon. 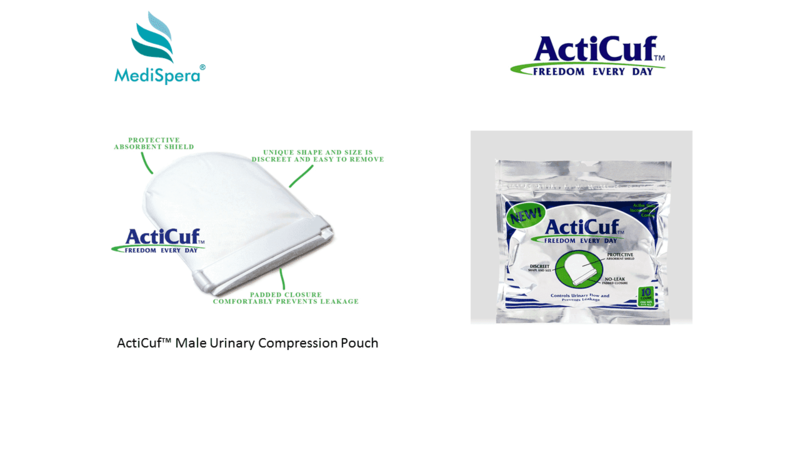 ActiCuf Patient Testimonial: Need an alternative to pads? Here is my story. See if it sounds familiar. I pee on myself just walking to the corner. Going to work is a nightmare. I wear these thick, sweaty male pads, which are uncomfortable and not made for everyday use. When I go to the pharmacy, I see rows and rows of female pads and just one for male use. I certainly cannot go to the gym or hiking, and I am getting pretty depressed. After a couple of months of complaining one of the doctors said, “Here, try these and let me know what you think.” I am writing to tell you these things were like a new lease on life. Now I go to the gym or walk or work without the bulky and uncomfortable pad. Yeah!!! They are comfortable, portable, easy to use, and unnoticeable. ActiCuf is so much better than those pads. I wish all the best for you on your journey. Remember, it is not what happens to us but how we handle it that makes the difference.